unique decorative features, cellar, animal shed and garage made mostly of recycled materials. Come join us for this tour followed by arvo tea. 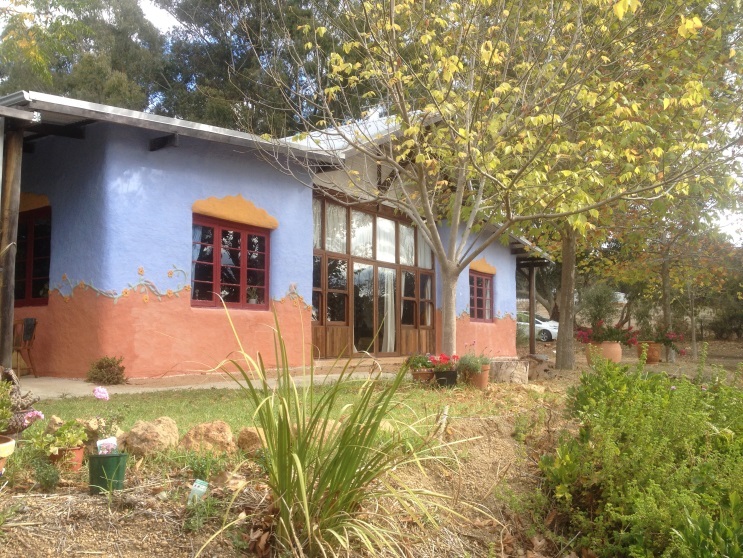 This entry was posted in Event, Sustainable Home and tagged Clivus Multrum, composting toilet, Fruit Trees, Recycled materials, Solar panels, Straw bale, tour. Bookmark the permalink.